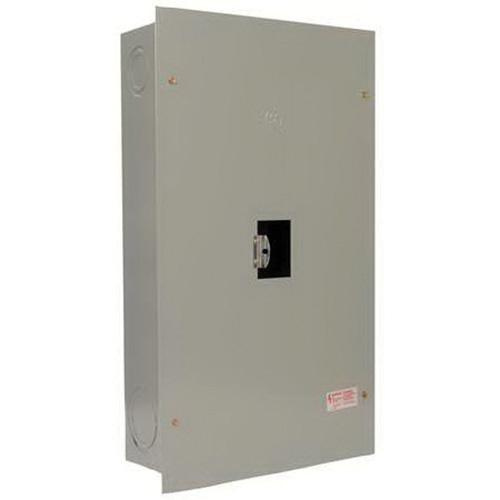 GE Industrial 2-/3-Pole Circuit breaker enclosure has current rating of 225-Amps. This enclosure features steel construction. It measures 29.9-Inch x 8.9-Inch x 5.5-Inch. This NEMA 1 rated enclosure supports surface mounting for easy installations. Enclosure is UL listed and CSA certified.